As of early morning on August 15, the 310 meter level of Mir underground mine is flooded with water more than one meter high, the firm said in a statement. "Rescuers’ descent down to level – 310 meters is impossible as it is life threatening. The emergency response center came to a decision to stop rescue works in the mine workings on level – 310 meters. The families of miners who were on this level at the time of the accident according to their electronic tags are being informed. All the efforts of the rescuers are being directed to clear out rubble and search for the missing miners on level – 210. “High water level in the mine shaft makes it impossible to carry out further search and rescue operation on level – 310. The flooding of the level was officially confirmed on August 15. 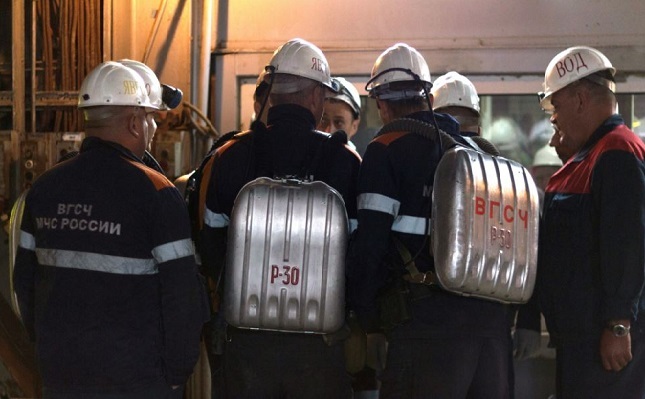 According to electronic tags on all the miners’ helmets, four of eight missing miners were supposedly located on level – 310 at the time of the accident. The search operation on level – 210 continues,” reported in the emergency response center.